EVERETT, Wash., April 26, 2018 – Boeing’s [NYSE: BA] KC-46 tanker program has now completed all required Supplemental Type Certificate (STC) flight tests following a successful refueling/communications flight with a C-17 Globemaster III. The STC encompasses the military systems installed on the 767-2C aircraft to make it a tanker, and is one of two required FAA airworthiness certifications. Boeing will now submit the resulting data and reports to the FAA for review in advance of the STC award. 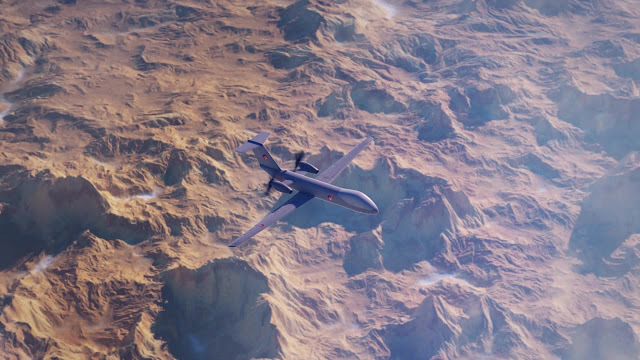 As part of STC testing, the combined Boeing/Air Force team had to validate both the boom and drogue systems for aerial refueling with multiple receiver aircraft. 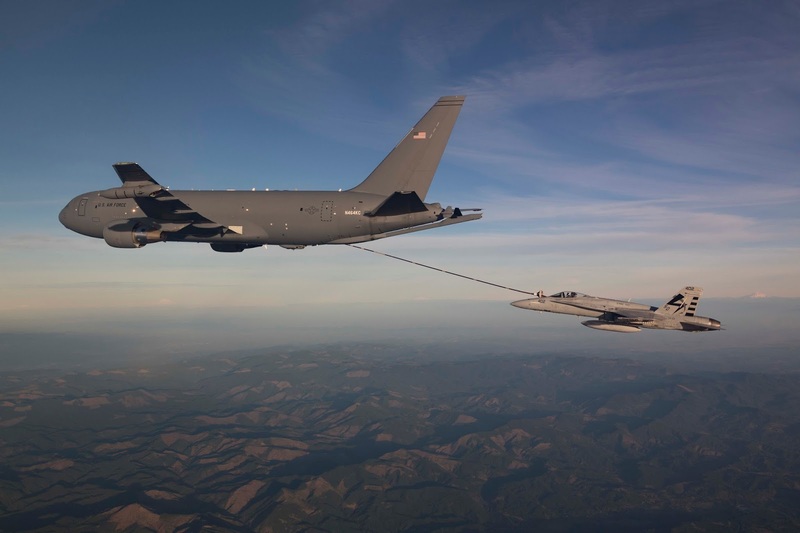 They also demonstrated the KC-46 can take on fuel from KC-135, KC-10 and other KC-46 tankers, conducted night and day lighting tests and tested the aircraft defensive systems and avionics. Boeing previously received its Amended Type Certificate from the FAA for its core 767-2C configuration in December 2017. The 767-2C is a modified version of the company’s commercial 767 with revised structure, wiring and plumbing. The program has six aircraft that have supported various segments of ATC and STC testing. Overall they have completed 2,900 flight hours as well as more than 2,500 “contacts” during refueling flights with F-16, F/A-18, AV-8B, C-17, A-10, KC-10 and KC-46 aircraft. Berlin, 25 April 2018 – Airbus (stock exchange symbol: AIR) and Dassault Aviation (stock exchange symbol: AM) have decided to join forces for the development and production of Europe’s Future Combat Air System (FCAS), which is slated to complement and eventually replace current generation of Eurofighter and Rafale fighter aircraft between 2035 and 2040. The partnership, sealed in Berlin by Dirk Hoke, Airbus Defence and Space Chief Executive Officer (CEO) and Eric Trappier, Chairman and CEO of Dassault Aviation, represents a landmark industrial agreement to secure European sovereignty and technological leadership in the military aviation sector for the coming decades. Airbus Defence and Space and Dassault Aviation agree on the importance of efficient industrial governance in military programmes. This also includes the involvement of other key European defence industrial players and nations based on government funding and on the principle of best contribution. Showcasing its “Flight Lab” BLADE demonstrator aircraft for the first time at a major air show. · The most extensive wing laminar flow demonstrator programme ever undertaken for commercial aviation. · Improving aviation’s ecological footprint, with a 50% reduction in wing friction. Airbus, which is showcasing its “Flight Lab” BLADE demonstrator aircraft for the first time at a major air show, has signed an accord with representatives of the numerous stakeholders to not only mark the joint success of bringing this unique programme to fruition, but also affirm their desire to build on this programme in the European framework of Clean Sky. The stakeholders present together with Airbus CEO Tom Enders at the ceremony included members of the European Parliament, the European Commission, the German Government, European Member States and industrial partners across Europe. 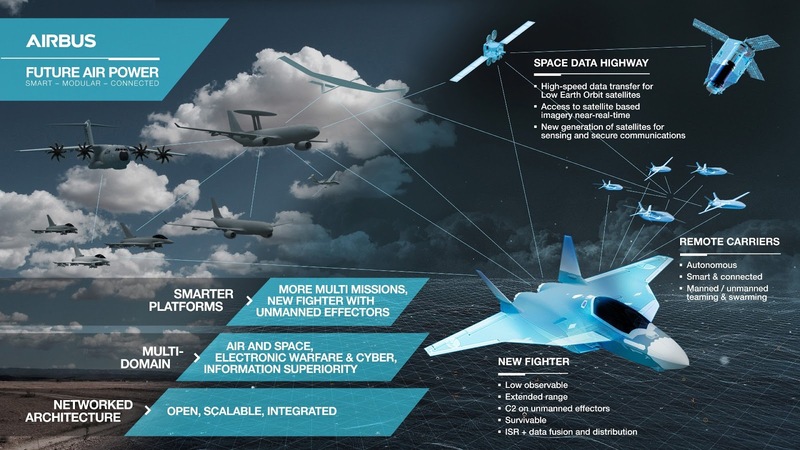 The BLADE project, which stands for “Breakthrough Laminar Aircraft Demonstrator in Europe”, is part of the first phase of Clean Sky – a 1.6 billion Euro programme which has been running since 2008. BLADE has been tasked with assessing the feasibility of introducing laminar flow wing technology on a large airliner. It aims to improve aviation’s ecological footprint, bringing with it a 10 percent aircraft drag reduction and up to five percent lower CO2 emissions. Airbus worked with a team of more than 20 key partners* and around 500 contributors from all over Europe. Moreover, due to its size and complexity, this project was only possible thanks to the European Research initiative Clean Sky. In September 2017 Airbus’ A340 laminar-flow Flight Lab test demonstrator aircraft (A340-300 MSN001) made its successful maiden flight and since then has been engaged in successful testing to explore the wing’s characteristics in flight. The test aircraft is the first in the world to combine a transonic laminar wing profile with a true internal primary structure. On the outside the aircraft is fitted with two representative transonic laminar outer-wings, while inside the cabin there is a highly complex specialist flight-test-instrumentation (FTI) station. The extensive modifications to the A340-300 test-bed aircraft took place during the course of a 16-month working party in Tarbes, France, with the support of the numerous industrial partners across Europe. In terms of the testing technology, notable ‘firsts’ included the use of infrared cameras to monitor the laminar flow transition points and the acoustic generator which measures the influence of acoustics on laminarity. Another first is the innovative reflectometry system which measures overall deformation in real-time during flight. To date the Flight Lab has performed 66 flight hours. Flights will continue until 2019, dedicated to exploring the influencing factors on laminarity. 5 micron; Aernnova; Airbus; Airtex; ASCO; BIAS – Research and Development for Applied Beam Technologies; Dassault Aviation; DLR - German Aerospace Center; DNW - German-Dutch Wind Tunnels; ETW - European Transonic Windtunnel GmbH; EURECAT; FTI Engineering; GKN Aerospace; INCAS - National Institute for Aerospace Research; ITAINNOVA - Technological Institute of Aragon; NLR - Netherlands Aerospace Center; Onera; Romaero; SAAB; Safran; SERTEC Engineering; VEW - Vereinigte Elektronik Werkstätten. 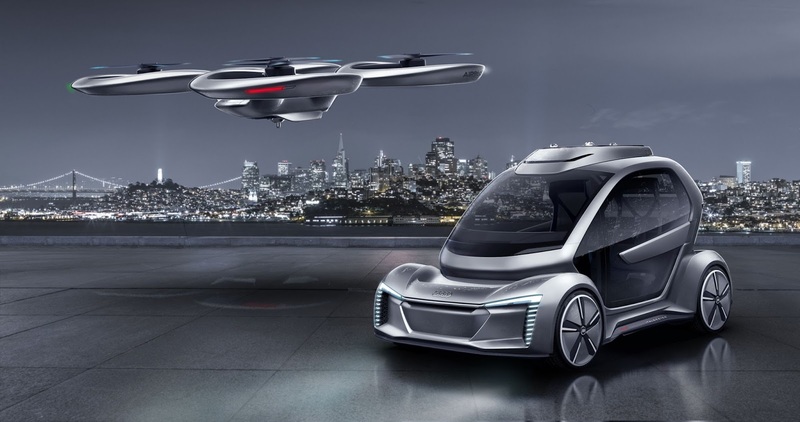 Airbus and the German car manufacturer Audi have teamed up to develop real, near-term urban mobility solutions. Beginning this summer, Airbus – through its on-demand helicopter platform Voom – will partner with Audi to deliver an end-to-end transportation service, starting in São Paulo and Mexico City. This partnership will provide premium ground transportation serviced by Audi vehicles and helicopter transport via Airbus’ Voom service, allowing customers to have a seamless and ultra-convenient travel experience. 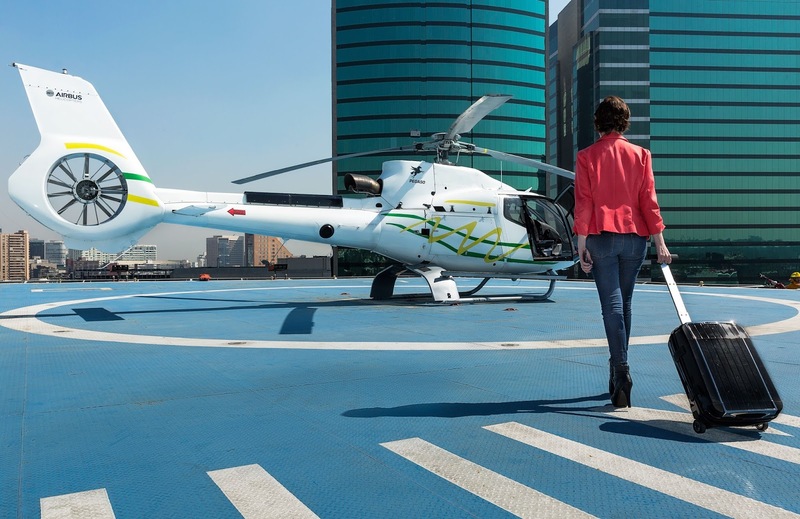 Airbus has already carried out successful trials in São Paulo of its helicopter ride-hailing service Voom, which aims to ease congestion by making helicopter travel more accessible and affordable. Since March 2018, the service is also available in Mexico City. Airbus and Italdesign are partnering on Pop Up, a full electric auto piloted and modular concept including a capsule connected to either ground or air module. Elsewhere, teams are working to create entirely new vehicles: CityAirbus, ready to fly before the end of 2018, is a technology demonstrator of an electric vertical take-off and landing (VTOL) vehicle for up to four passengers. Vahana aims to create a similar mode of transport for individual travellers or cargo. It completed its first full-scale flight in January 2018. In Singapore, the company is working with the country’s National University on the Skyways project to test a parcel transportation system using autonomous drones. Italdesign is a service company providing design, engineering and production for the transportation industry, through to final testing and type-approval and support into Starting of Production and the design of complete business models. Italdesign is constantly researching and developing the mobility solutions of tomorrow. Italdesign is based in Moncalieri, Torino, Italy and today has premises of more than 50,000 square meters, a full-scale design and engineering campus and a cutting-edge development and prototyping centre. It has 1000 employees in Italy, Spain and abroad. Airbus, Dassault Aviation and Leonardo reaffirm their total commitment in the first fully European MALE programme. Reveal full scale model at ILA Berlin Air Show 2018. Programme fosters development of high technologies in Europe. Optimises budgetary situation through pooling research and development funding. Berlin 26th April 2018 – The first full scale model of the European Medium-Altitude Long-Endurance Remotely Piloted Aircraft (MALE RPAS) was unveiled today during a ceremony held at the 2018 ILA Berlin Air Show, which opened its gates at Schönefeld airport. 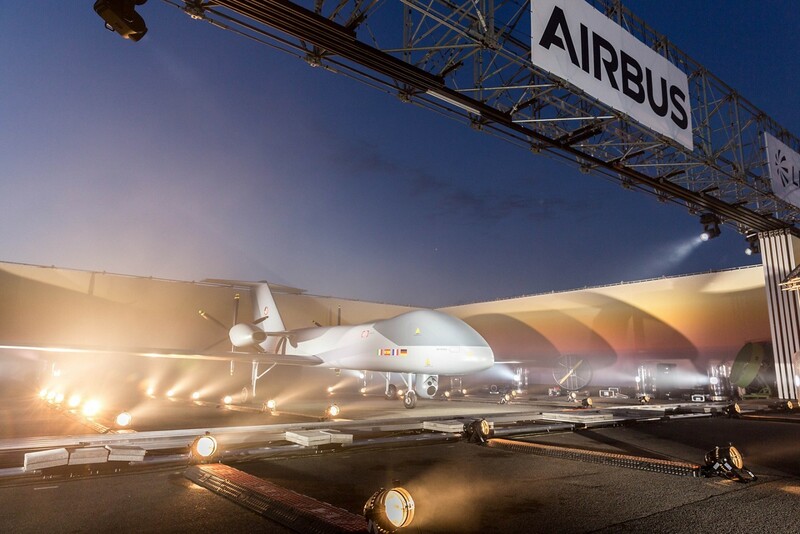 “While still a lot of work lies ahead of us, this full scale model represents a first milestone of what Europe can achieve in a high-technology sector if it bundles its industrial strength and know-how ” said Dirk Hoke, CEO of Airbus Defence and Space. 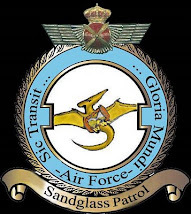 “The MALE RPAS will become an integral part in guaranteeing Europe’s sovereignty in the future. This programme is ideally suited to meet urgent capability requirements of Europe’s armed forces. This innovative partnership also eases the countries’ constrained budgetary situation through clever pooling of research and development funds.” He added. 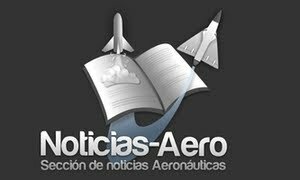 Mostrarán un modelo a escala real en el Salón Aeronáutico de Berlín ILA 2018. El programa fomenta el desarrollo de alta tecnología en Europa. Optimiza la situación presupuestaria centralizando la financiación de la investigación y el desarrollo. Berlín, 26 de abril de 2018 – Hoy se ha mostrado el primer modelo a escala real del sistema aéreo europeo pilotado por control remoto de media altitud y gran autonomía (MALE RPAS por sus siglas en inglés). La presentación ha tenido lugar durante una ceremonia celebrada en el Salón Aeronáutico de Berlín ILA 2018, que ha abierto sus puertas en el aeropuerto de Schönefeld. La ceremonia, presidida por Dirk Hoke, CEO de Airbus Defence and Space; Eric Trappier, presidente y CEO de Dassault Aviation; y Lucio Valerio Cioffi, director general de la división de Aviones de Leonardo, confirma el compromiso de los cuatro estados europeos y aliados industriales de desarrollar conjuntamente una solución independiente para la defensa y la seguridad europeas. La presentación del modelo a escala real y la reafirmación del compromiso se produce tras el estudio de definición de casi dos años que lanzaron en septiembre de 2016 las cuatro naciones participantes: Alemania, Francia, Italia y España. Previamente, en 2015, los países habían firmado una declaración de intenciones para colaborar en un sistema aéreo no tripulado europeo MALE. “A pesar de que todavía tenemos mucho trabajo por delante, este modelo a escala real representa un primer hito de lo que puede conseguir Europa en un sector de alta tecnología si une su potencia industrial y su saber hacer”, ha afirmado Dirk Hoke, CEO de Airbus Defence and Space. “El MALE RPAS será un elemento importante a la hora de garantizar la soberanía europea en el futuro. Este programa está perfectamente adaptado para responder a los requerimientos urgentes de capacidad de las fuerzas armadas europeas. Esta innovadora alianza también contribuye a mitigar la limitación presupuestaria de los países al centralizar de manera conveniente la financiación de la investigación y el desarrollo”, ha añadido. “La presentación de hoy refleja la dedicación absoluta de nuestras compañías a la soberanía europea en materia de defensa y seguridad. La cooperación y la alta tecnología legitiman el liderazgo de la industria europea y garantizan la autonomía estratégica de Europa”, ha declarado Eric Trappier, presidente y CEO de Dassault Aviation. “Los programas innovadores que surjan de alianzas eficaces contribuirán a la competitividad europea y ofrecerán nuevas alternativas a la adquisición de productos no europeos en el mercado. Dassault Aviation reafirma su total apoyo a Airbus Defence and Space como líder del programa de MALE RPAS”. “Las tecnologías no tripuladas y sus aplicaciones suponen uno de los cimientos tecnológicos clave para la evolución de las industrias europeas de defensa en el futuro”, ha manifestado Lucio Valerio Cioffi, director general de la división de Aviones de Leonardo. “El programa europeo MALE RPAS pretende fomentar el desarrollo de tecnologías avanzadas y contribuirá a mantener competencias y empleos clave en Europa ofreciendo a las fuerzas armadas un sistema de operaciones soberano y de alto rendimiento”, ha añadido.